Gavin Newsom’s Ammo Ban ballot initiative is showing 78% signature validity, meaning it is highly likely to qualify for the November general election ballot. We are going to be in the fight for our lives this election. 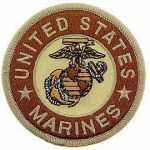 I knew there was something I liked about you SheepDog (Joshua) Semper Fi. Sorry, missed the link above. Good price. Good bullet. Hows the ballistics on those soup can rounds? I believe Sir, that was the one my friend had shown to me. Still a very very cool little rifle. Sweet TJ. Nice choice on optics. MRO all the way.